Our practitioners offer both alternative and conventional, holistic healing health therapies and treatments. Some of the practitioners are available for all retreats, others may require advanced scheduling. Ashley Chapman is a certified Nutritional Consultant, Raw Food Chef, Reiki Master and a mother. Her passion is to organize healing retreats and to support people in finding their own healing wisdom. 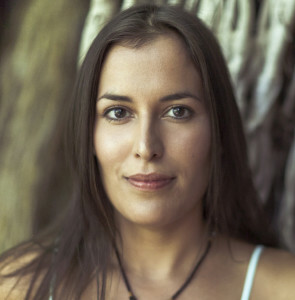 She integrates her Native American heritage, Holistic Nutrition and various Somatic practices. She is inspired by creativity in exploring fine arts, playing piano and the daily joys of family life. Anjay Skwira is a Director of Sacred Healing Retreats and Pura Vida Wellness Retreat. Spiritual Life Coach, Yoga and Meditation teacher, Clarity Breathwork Practitioner/Trainer and Aquatic Bodyworker with extensive training and certifications in Watsu, Waterdance, Healing Dance as well as Esalen, Thai, Swedish, Tantsu, Self-Healing, Movement Education, Anahatha Yoga. Integrative and Yin Yoga and Taoist Chi Gong. In his twenties, Anjay had a near death experience that was his first spritual awakening. Since then Anjay has been travelling extensively, has lived in India and Africa, and has spent a lot of time in meditation, silent retreats and embraced various spiritual practices. His main passion is to live an awakened life and to share it with others. He enjoys in-depth study and practice of self-inquiry and meditation as a path of liberation. In his teaching and counseling he integrates over 30 years of experience in spiritual practices and leading healing retreats. 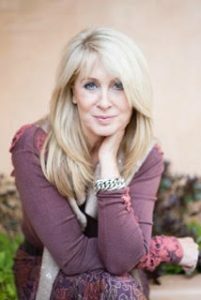 Dr. Ann West is a seasoned relationship coach, holding over 20 years of experience assisting families, couples and individuals. Her deep desire to learn about the mind and how we think only increased as she studied clinical psychology. Along the way she discovered a natural calling in the fields of psychology and spirituality, which culminated in her earning a Ph.D in Spiritual Psychology. Dr. West teaches Non-Violent Communication, in addition to coaching individuals in relationship breakdowns towards breakthroughs. Over the past 20 years, Ann has utilized her training in PAIRS to help thousands of couples and individuals make major breakthroughs in their lives and relationships, acting as the magnifying lens that allows them to identify their blind spots, and overcome them. Under her nurturing guidance, clients can eliminate fears, stay on track with life choices, and release the emotional trauma holding them back. A 3rd Degree Usui Reiki Master, Holotropic Breathwork facilitator, Theta Healing practitioner and Life Coach. 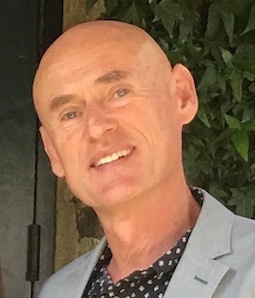 For the past 20 years, Dr. West has taught meditation and more advanced techniques such as trauma release to help clients recover from childhood traumas, deep emotional wounds, and extreme loss.